A torrent is actually not a term. It stems from the protocol BitTorrent, which uses torrent files to distribute data in a peer to peer technology developed for file sharing. A torrent in this case would be the data being shared all over the internet. The concept is a re-imagining of the Napster policy that provided for the biggest music sharing network to ever roam the internet. Based on a similar principle, a file to be shared is coded in a torrent file, or torrent descriptor, which holds the cryptographic hash of the file. This torrent file is then uploaded to the internet and can be downloaded by peers. These load such a file into the downloading and sharing client software and this software then downloads tidbits of the file from anybody on the network that has the required bits of that same file. Creating a full file on the local computer, all the while sharing this file, or tidbits of that file, with all other peers on the network. This protocol was created some ten years ago by a US programmer named Bram Cohen. Just like with Napster and any other peer to peer file sharing service, the main usage for such programs is to share files. Generally shared files contain everything, from .mp3 files to any multimedia, file or program that can be stored on a computer. Sharing copyright protected material is prohibited by law and many agencies and legal institutions try to prevent any such shares, asking even for filters to be installed on ISP in order to filter torrent traffic. Any such attempt, to ban such “trackers” was as of today unsuccessful, despite having closed several web pages where torrent files are being hosted. 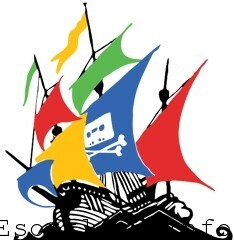 Can the War against Torrents be won? The very logical conclusion must be that a war against torrents cannot be won, because even when such a site is being sued, even processes won, like it was the case with “The Pirate Bay” in Sweden, or “Supernova” in Slovenia, the trackers were up and running just a few days later. Furthermore, the more sites are being closed, the more new sites are being opened, for just the same purpose. There is a basic stupidity of the law that is the main culprit here. In the “pre-internet” days, we all shared cassettes with music, where we recorded records or music from the radio. Nobody got prosecuted for that. We even borrowed records and cassettes off each other, nobody prohibited that either, even CDs are being swapped to this very day. The problem is that the record companies lost track what good music actually is and sell a lot of junk to the crowds. Nobody wants to buy a record where only one song is halfway decent and the rest is horrible. So people download the album, listen to it and decide if it is worth buying. It generally is not. On the other hand, if it is, then it gets sales anyway, no matter how much it got downloaded. Most recent examples are Caro Emerald and Michael Buble with their albums, even Adele with “21”. People downloaded, listened, liked the music, bought the CDs. The companies just encourage the illegal downloading by limitations that make no sense, like the iTunes country limitations or VEVO limitations on YouTube. Btw have you checked sites like torrific.com which makes using torrent a breeze and helps them further.. Instead of banning multiple torrents’ sites we must impose ban on torrent software’s and search engines. It is the only way to win war against torrent. Torrents are the biggest threat to copyrights. There is one even better way how to fight torrents. Lowering the ridiculously high prices of music, movies etc. Then, many people (including me) will be willing to buy instead of download from torrent sites. Have you though about this option? I bet you haven’t.